Within his business specialty, he 1st understands your business model, target market, and challenges your facing. Once discovered, he’ll develop a unique way to automate your sales process and message of value through his world-renowned branding agency, Custom Online Branding. 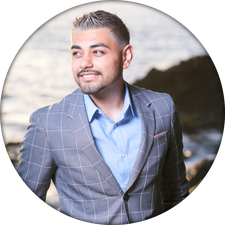 Working 1 on 1 with Manny, he will also develop a unique “Success Blueprint”​ to show, step-by-step, how to utilize the technologies through his companies to capture more leads & convert more customers! Currently, he is a paid consultant on lead generation to close to 1000 brands worldwide including: celebrities, entertainers, entrepreneurs, best-selling authors, speakers, coaches, , consultants, real estate professionals, direct sales companies, affiliates, attorneys, doctors, and hundreds of small business professionals from around the world! + Hundreds of professionals worldwide! His work has been featured on NBC, The Huffington Post, Bloomberg Radio, a CEO Space International graduate, and was named “One of the Best”​ by Facebook when they hit 1 million advertisers!